You’ve done the hard bit; you have a store that’s open and fully functioning. But, footfall isn’t coming in as quick as you’d like. It’s vital that you ensure customers have a great experience in your store. Consider all the factors below before you start wondering why your sales aren’t as high as you’d like. Jade Jordan from Spur Creatives gives his top tips on attracting customers to your retail store. The front of your store needs to not only attract those walking past, but it also needs to represent how you want your business to be seen. 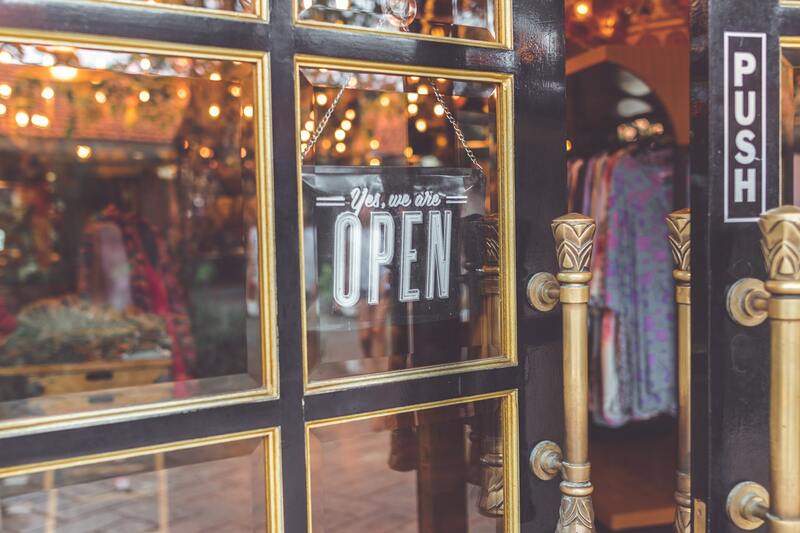 Customers expect a storefront that is well presented and the appearance and design will often reflect what’s to come in the store. It’s also your chance to shine and differentiate yourself from the competition. Always take time to stand outside and asses the condition of your storefront. The way your employees are acting can influence a consumer’s decision to walk into your store. If you have a large window, employees that look bored or are standing around talking does not give off a welcoming retail environment. Ensure that your employees are aware of how they look and act when on the shop floor, even if there aren’t any customers in the store. If employees look busy and welcoming, people are more likely to come in. It’s no secret that people spend more time shopping online than in stores. There are ways you can use your online store to your advantage. A strong online presence generates brand awareness and this can increase footfall in store too. Even though people like to browse online, there are still many people that prefer to view the product in its physical form before buying. Offering click and collect to your store not only poses a great opportunity for a customer to become aware of your store but it also poses great opportunity to then build on the relationship when they visit the store. Giving consumers a reason to come into your store is still as crucial as ever. Experiential retail is a fun way to entice consumers to visit your physical store. It’s been reported that younger generations would rather spend their money on experiences than products. Your store needs to offer a unique experience, a reason to come in. Props have become a crucial part of experiential retail, especially during product launches. Retailers often get custom made giant props of their products made. They are great at attracting the eye and generating interest. Retailers also get custom made replicas of characters or association that are connected to their brand. Consumers are often drawn to the novelty of all things giant as well as replicas. Bigger is better after all? Good lighting is essential for a memorable retail display. It’s purposely built to illuminate and help with the tone and structure of your display. You’ll want to position the lighting to try and enhance the 3D elements of your window display. Placing spotlights to shine down on the elements you want to be the focal point also enables you to direct the consumer’s eye. More on attracting international customers and customer service.